We’re just back from a short ski tour on Ben Lawers and it set me to contemplating what a different beast Scottish skiing is from its more refined Alpine sibling. Especially when watching Swiss hubby, so stylish and wiggly on a Swiss slope, pick his way precariously down the hill. We had been planning to park at the Ben Lawers car park but, as a local farmer told us as we were stuck in his driveway for half an hour figuring out how to put on our snow-chains, they don’t clear the road since a snow plough got stuck one year and could only be retrieved six weeks later. Instead, we parked near the farmers house (once we had got the snow chains on and stopped blocking the man’s drive) and skied up a farm track onto the hill via the sub-arctic mini forest of Ben Lawers National Nature Reserve on the way – spotting my largest ever group of Black grouse as we ascended. 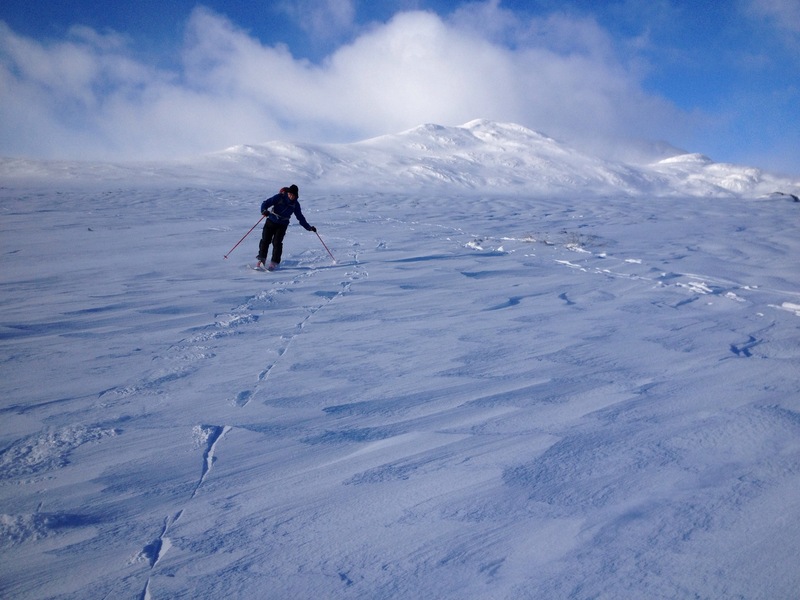 So here are my six essential skills for Scottish skiing. 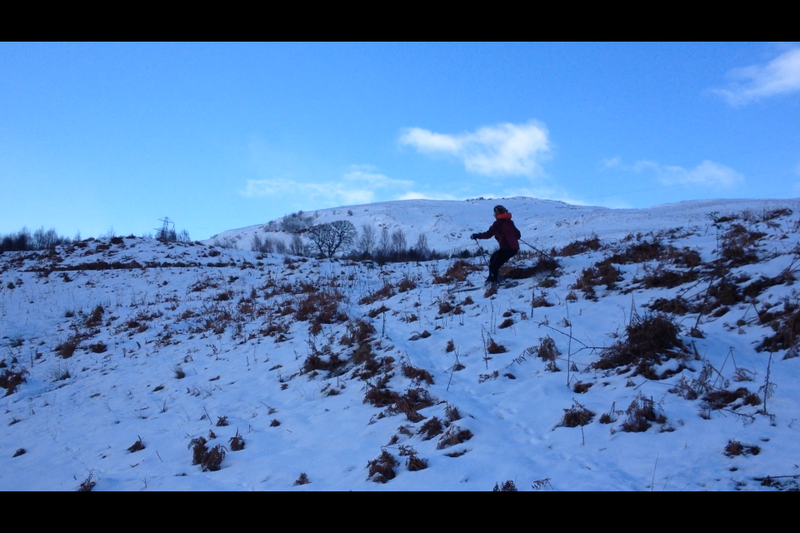 There are few Scottish hillsides without thickets of dead bracken waiting to snag your ski tip and offering a miriad opportunities to dislocate your knee. At times like this style goes out the window in the interests of self-preservation. 2. Skiing with a raging tailwind. The classic Scottish combo of skiing down with a gale force wind at your rear and the accompanying wind-scoured ice interspersed with pockets of deep, drifted powder snow means snow plough is your friend. It also means you’ll get a chance to use those spare gloves stashed in your rucksac when your main pair blow away. There won’t be any base to the snow so under every frosty countour is an obstacle waiting to snag your ski while you travel forward with surprising momentum hoping your ski comes off before your knee is wrenched off. Skis in one hand Poles in the other. Hop from snow covered rock to icy boulder. Simple. Often the best way up onto the open hill and back. 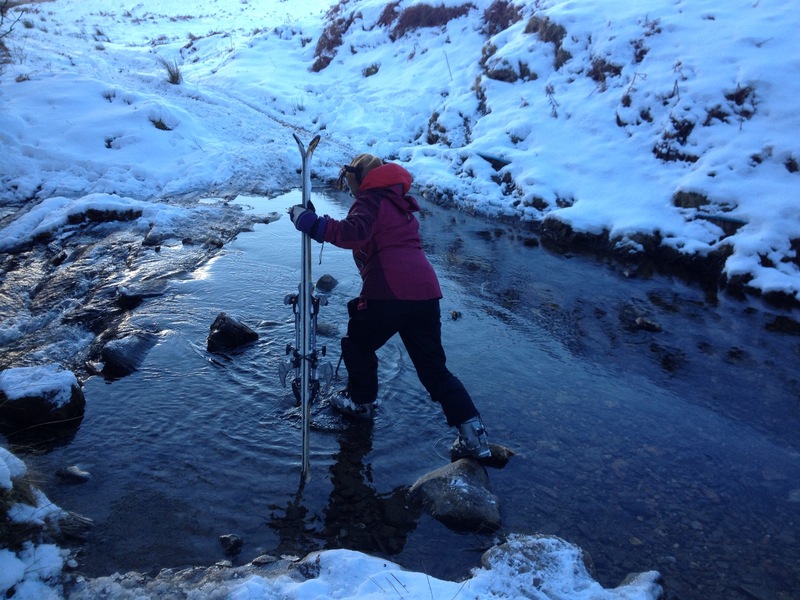 But can have stones close to the surface – keep skis level, skim over those stones, imagine floating across them. Yes you can ski right over the muddy cow footprints and tractor tracks but DONT BREAK or your skis will be scratched to smithereens. 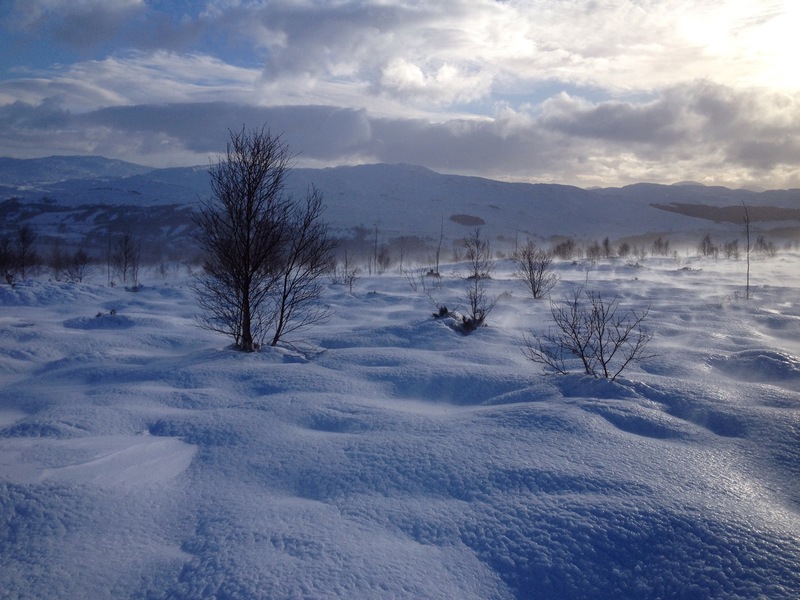 As an instructor advised a friend of mine doing a ski course in the Cairngorms ‘There are four types of snow’. 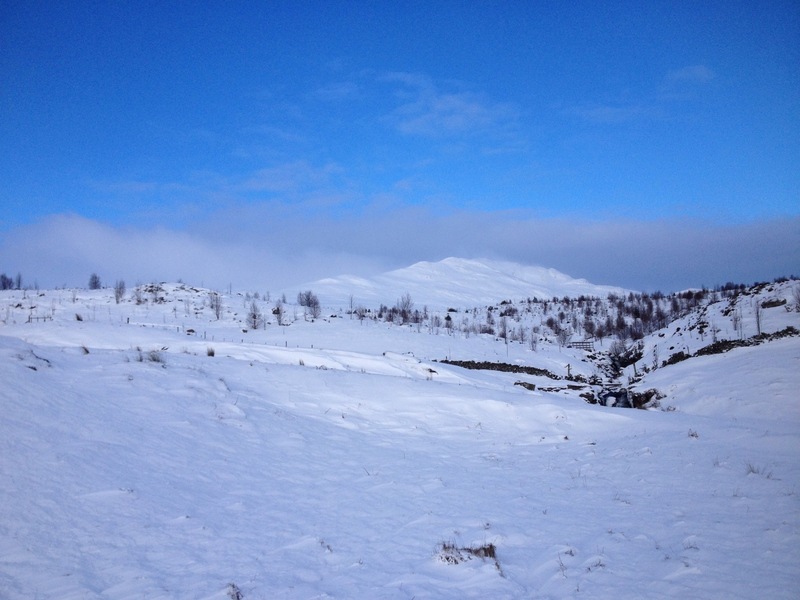 There is White Snow – the stuff we all know and love but which can be few and far between on Scottish slopes. There’s Grey Snow: you can ski on this but be careful, it’s slippery. There’s Brown Snow – that’s heather – also fine to ski on but can slow you down suddenly so watch out. And finally there’s Black Snow; don’t ski on that, it’s rock and it will hurt your skis. This entry was posted in Skiing, Uncategorized by nager. Bookmark the permalink.